Notes: I received an eARC via Penguin's First to Read program. For a long time Court Gentry has wanted to do something to support the fight against the Syrian regime. The last thing he wanted, however, was to travel into middle of Syria. He'd already determined to do so would be a fool's errand. So when an opportunity arose to work for the FSEU, the Free Syria Exile Union---a usually nonviolent group--came up he took it. It was supposed to be a fairly simple operation, as far as these kind of jobs go--kidnap the mistress of the Syrian leader and deliver her to his employer. They believe she holds key information which can take the Syrian president down. Unfortunately, things rarely ever go as planned for Gentry. This is one of those times. The mistress refuses to talk until her baby is safe and against his better judgment, Court charges in to what appears to be a suicide mission. The baby, you see, is not only the Syrian President's love child, but his only heir. This is the seventh book of the series and while you could possibly jump right into this one, I recommend you read at least the first book of the series before diving into it. There is no information dump and the prologue doesn't bring you up to speed so you'll be going in somewhat blindsided, but eventually you'll get the lay of the land. so to speak. My first impression of Court Gentry is he's a cross between an American version of James Bond and Ethan Hunt of Mission Impossible fame. The main difference is he moonlights on the side for causes he believes in and doesn't have as pristine a reputation. I kind of like that about him because to me it makes him more human. He’s known by most as the Gray Man for his uncanny ability to keep a low profile, in the shadows, while completing his assignments. Basically, if you see him, it's already too late. He's a fiercely loyal and trustworthy individual and when he says he's got your back you can believe him. 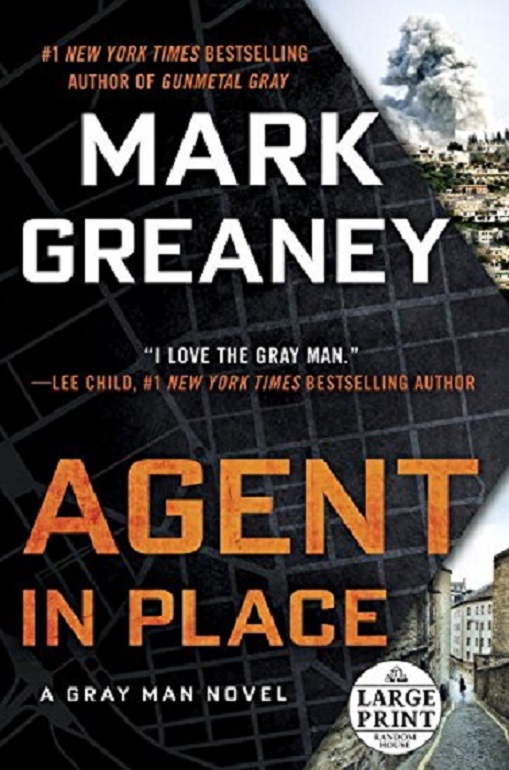 He served over a decade in the Central Intelligence Agency, then another five as an assassin for hire. Now, he's back with the CIA in an ad hoc contract position that allows him to retain his ability to accept work from outside the agency when he desires. His latest assignment is one of the latter variety. From the beginning Court has misgivings about his employers and their lack of professionalism. While this doesn't deter him from taking the assignment, he decides early on that he needs to keep an eye out for trouble of the unexpected variety. As it turns out, his suspicions are correct. Trouble seems to dog this covert mission right from the get-go. Luckily, he's a seasoned veteran when it comes to trouble and meets it head on. That is what makes this novel so much fun and highly entertaining. I couldn't help but give this one 5 out of 5 roses. The novel was fast paced with a lot of action, twists, and turns. Dangerous life-and-death situation await at every turn causing Court to have to think quick on his feet and act first while asking questions later. I'd love to know if guys like this truly exist in the real world because they'd be about one step shy of being a superhero. This is the first book I've read in the series, and I'm very tempted to see where it all began and whether my first impression of Court is correct. If the rest of the books are as good as this one, I'm thinking the series would make for an excellent movie or two. We're due for another larger-than-life character to hit the silver screen and Court would do nicely. I've seen the vigilante for hire side of him, now I'd like to get a glimpse of him in agency minion mode. I definitely recommend this one and am pretty sure I'll be reading more of this series in the very near future. I thoroughly enjoyed it.